Brothers Andrew, John and Joseph Ellicott founded the town that would bear their name in 1772. Originally called Ellicott Mills, it was renamed as Ellicott City when it was incorporated in 1867. 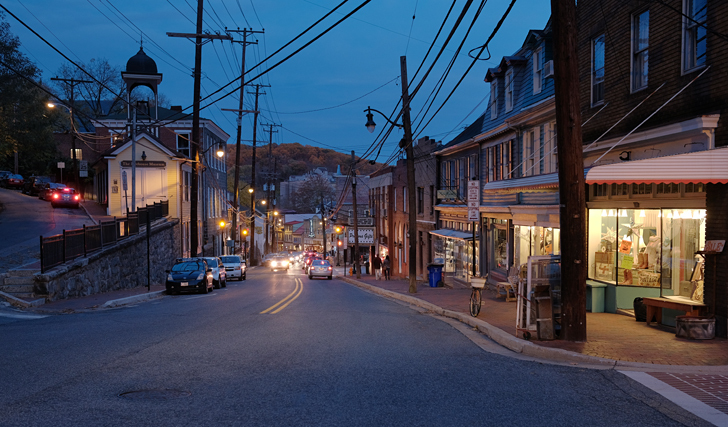 Despite several major fires and floods over the past two centuries, historic Ellicott City remains largely intact as a link to Howard County's past. Its buildings—some of which are said to be haunted—now feature an eclectic collection of shops and restaurants.